Connecting experts and encouraging employee interaction: why we’re excited for the new Francis Crick Institute… A 3-minute round-up of the expertise and insights that the Zapnito team wants to share with you this week. We were excited to learn more about plans for the new Francis Crick Institute in this month’s Wired. The new laboratories, developed by London-based architects HOK and PLP, aspire to be a world-leading centre of biomedical research bringing together some 1,250 researchers across divergent disciplines. Of particular interest to us here at Zapnito, the building has been designed specifically to encourage experts across disciplines to work and interact collaboratively. Central to fostering such collaboration, in what the building’s director Sir Paul Nurse has termed “gentle anarchy”, group meetings will be held in a collaborative space. There will be no departments as such and a cafeteria holding up to 450 people aims to avoid the “silo effect”. Nurse’s plans to connect experts and encourage employee interaction mirror the capabilities of the Zapnito platform. We have developed a number of ways to enable Zapnito users to share their expertise, from creating posts and videos, to participating in online video discussions; from asking and answering questions to commenting on others’ content. Our knowledge-sharing networks allow organisations to promote collective and trusted expertise across diverse sectors. Facebook came under fire this week after Gizmodo’s contentious report: ‘Former Facebook Workers: We Routinely Suppressed Conservative News’. As Facebook arguably becomes the go-to distributor of online news, claims that the social network has manipulated, suppressed and promoted certain news stories on the grounds of political bias has understandably caused alarm. According to an anonymous former Facebook employee (who would routinely log the conservative articles he saw being omitted from the ‘Trending News’ section) “It was absolutely bias. We were doing it subjectively. It just depends on who the curator is and what time of day it is”. While Facebook have publicly denied the claims, the upheaval addresses a wider concern we share about the social network’s control over published content as it becomes a major gatekeeper in the media industry. Josh Constine summarises this concern: “it drives so much traffic that news outlets are pressured into publishing on the platform. Bias on the part of the platform itself could impact the minds of its 1.65 billion users”. At Zapnito we understand these pain points facing publishers and have responded by enabling media companies using our platform to win back audiences currently being dispersed by the social web. Elsewhere, The Telegraph’s Rebecca Burn-Callander gives examples of new publishing models that aim to connect people in order to create content, in her article entitled ‘Petrolheads, fashionistas and intrepid travellers targeted by strange, new publishing models’. Insight Guides, for example, has embraced digital innovation becoming part-publisher part-travel agent with a focus on “connecting travellers with local partners on the ground”. Similarly, Car Throttle, an internet community for car enthusiasts, has its users contributing to much of the content. As with the founders of these innovative models, we recognise that by bringing the right people together to create content, deep engagement can be attained, allowing organisations to reclaim their brand and audience. Contact us to discuss how Zapnito can help you do just this - to create new products and services to monetize your company’s expertise and reclaim your audience. Lover of technology old and new. Can build an iron age round house or modern web applications and much in between. 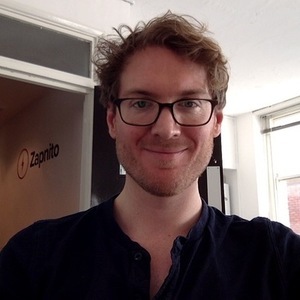 I joined Zapnito to help people use the Internet for the purpose for which it was originally built; connecting experts to the general betterment of mankind.